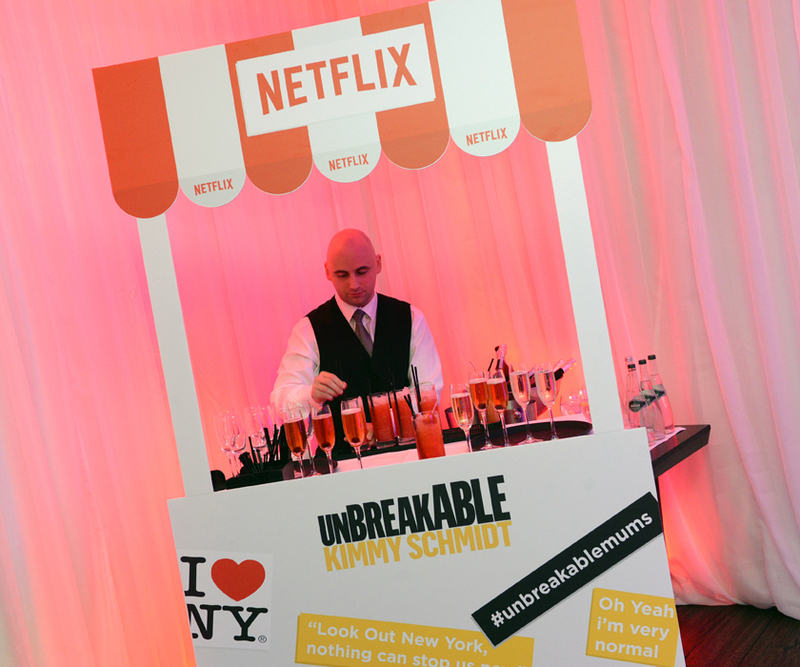 Enjoying some ‘Me Time’ with Unbreakable Kimmy Schmidt – Thanks Netflix! 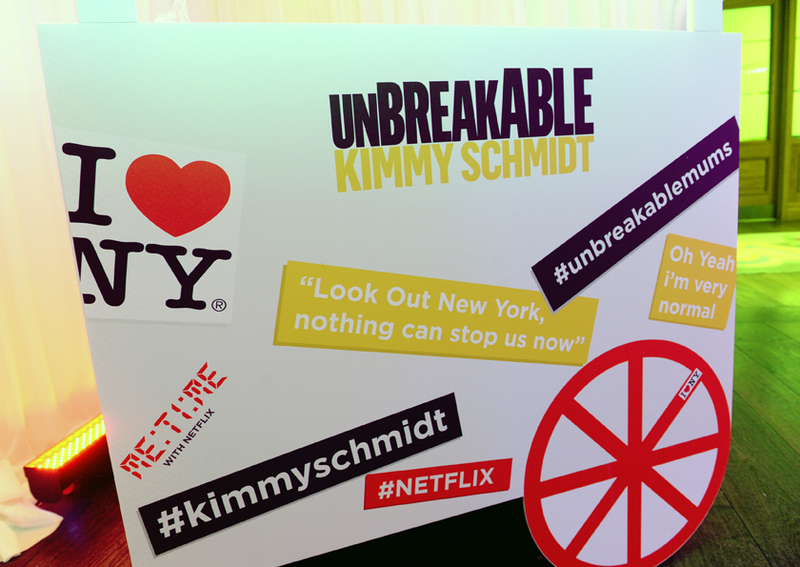 Home » Film » Enjoying some ‘Me Time’ with Unbreakable Kimmy Schmidt – Thanks Netflix! 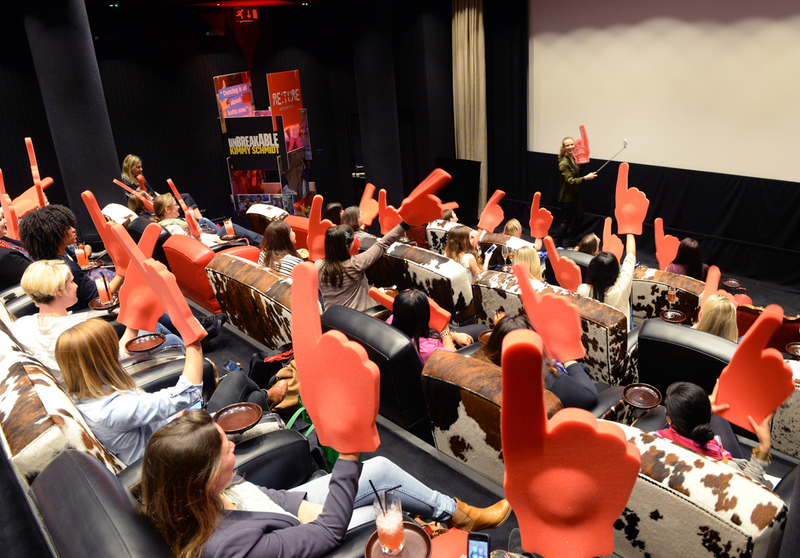 On Wednesday I had the pleasure of whisking up to London for a couple of hours of indulgence, courtesy of Netflix. There was a hotel and fellow bloggers. Cocktails may have been on hand, and massage and nail beauty may have been involved. I finally got to meet the lovely Jax from LiveOtherwise (we’ve been chatting online for YEARS, and never actually managed to meet in real life before), and in the middle of all the awesome loveliness I managed to sit in a private screening of three episodes of Netflix’ new series, The Unbreakable Kimmy Schmidt. I’ll admit it – I didn’t really fancy Kimmy Schmidt when I saw the initial blurb. 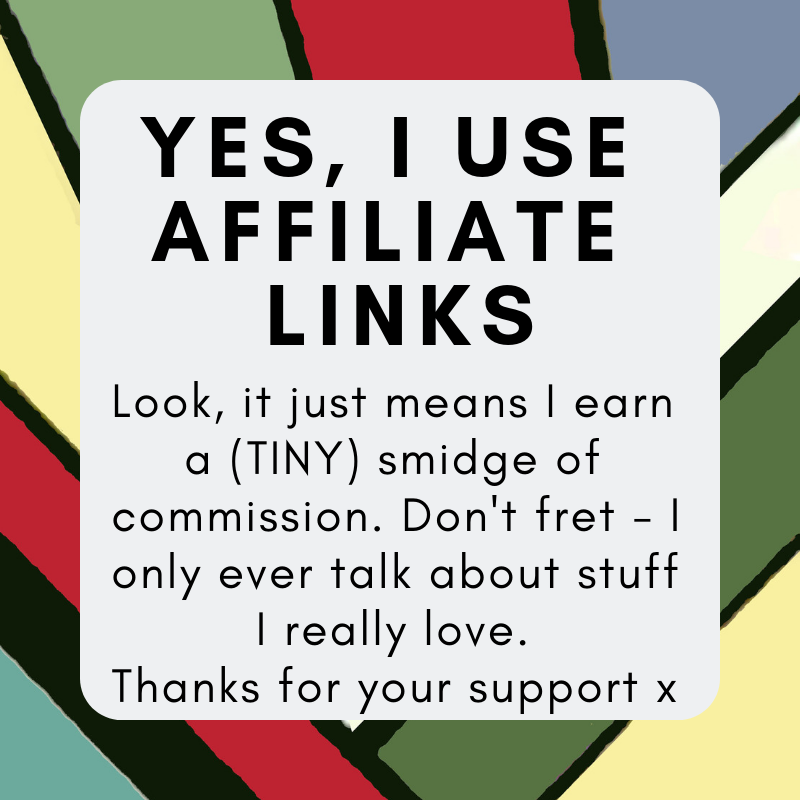 It seemed a bit… frothy for me. Too perky, the humour too obvious. But it was from Tina Fey, and hey, there were cocktails; so I settled in the comfy chair, willing enough to give it a go. Unbreakable Kimmy Schmidt comedy about a young woman who moves to New York City after 15 years in captivity, held underground in a bunker by a doomsday cult. See? Doesn’t sound hilarious, does it? But I loved it! We saw the first three episodes, and in usual box set fashion I wanted to see the next-now-please. It’s charming, sharp and unexpectedly alluring. The characters are more caricatures – and yet, you can’t help but care about them. Kimmy, played by Ellie Kemper, may be a little… perky… but her early 90’s teen style frequently had me in stitches, and her unbreakable positivity was refreshingly strong. Her room mate Titus (Tituss Burgess) is adorable, and her new boss (the terrible Jacqueline-the-super-rich-and-super-shallow played by Jane Krakowski) has an unexpectedly genuine side peeking out just often enough to stop you hating her. 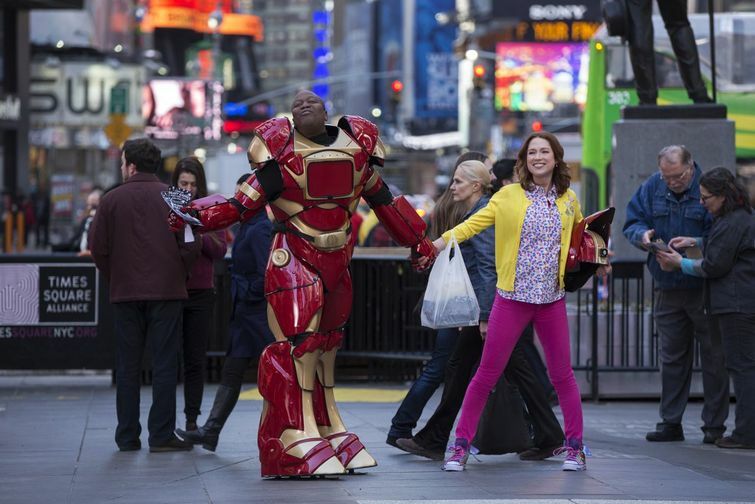 I can’t wait to watch the rest (the whole series is out now on Netflix, you don’t have to wait for a weekly drip feed) – and suggest that if you’re looking for something cheerfully light and soothing for the brain after a rough day, Kimmy Schmidt might have just what you’re looking for.